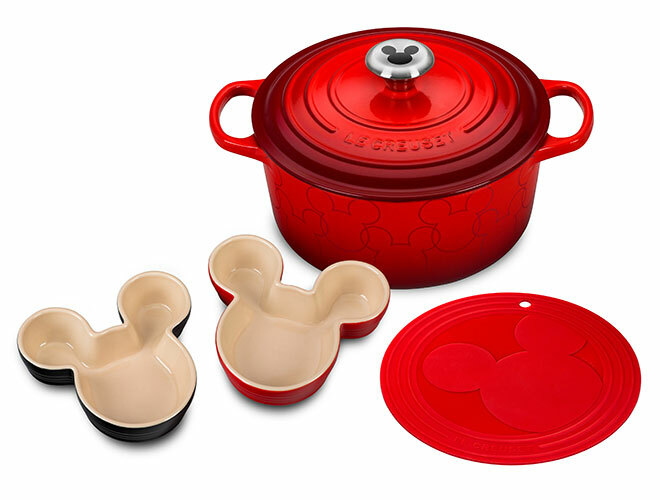 Set includes a Le Creuset Signature Cast Iron 4.5-qt Mickey Mouse Round Dutch Oven, Le Creuset Stoneware 2- Piece Mickey Mouse Ramekin Set and Le Creuset Silicone 8-inch Mickey Mouse Silicone Trivet. 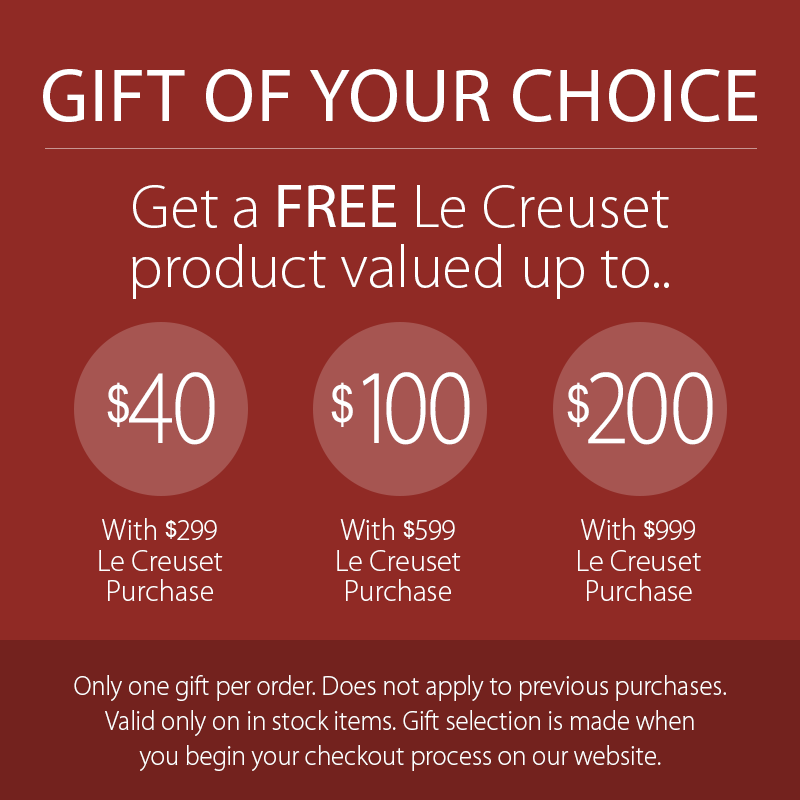 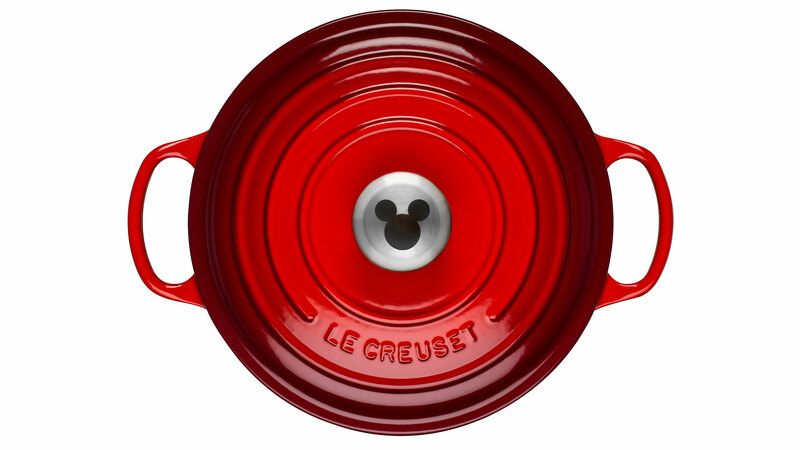 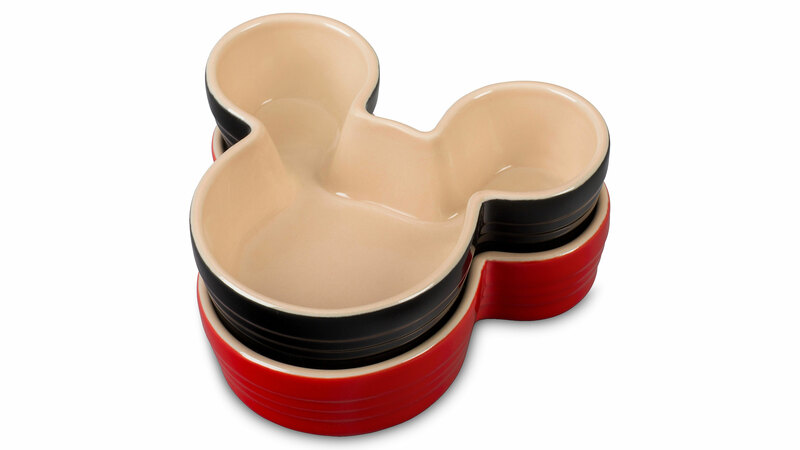 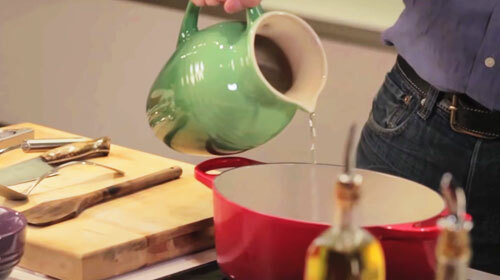 Le Creuset and Disney, two iconic brands that bring joy to fans around the world. 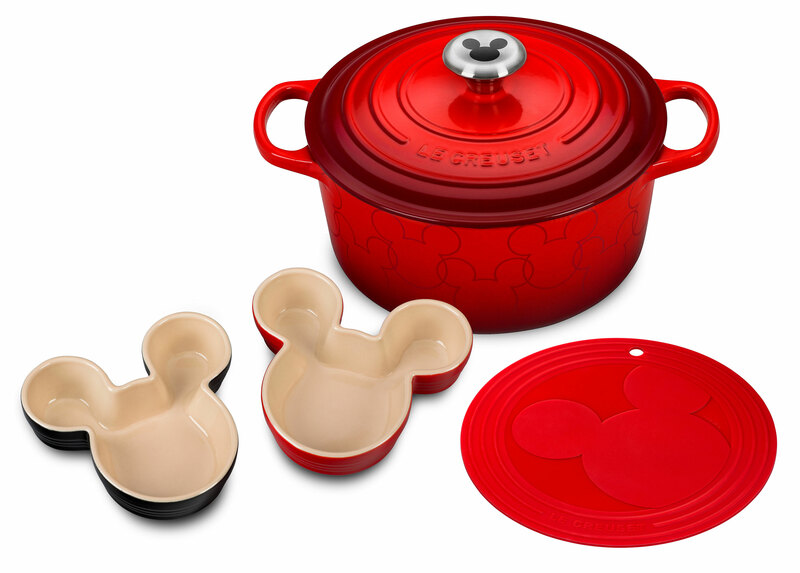 Celebrate Mickey Mouse with an exciting new collaboration! 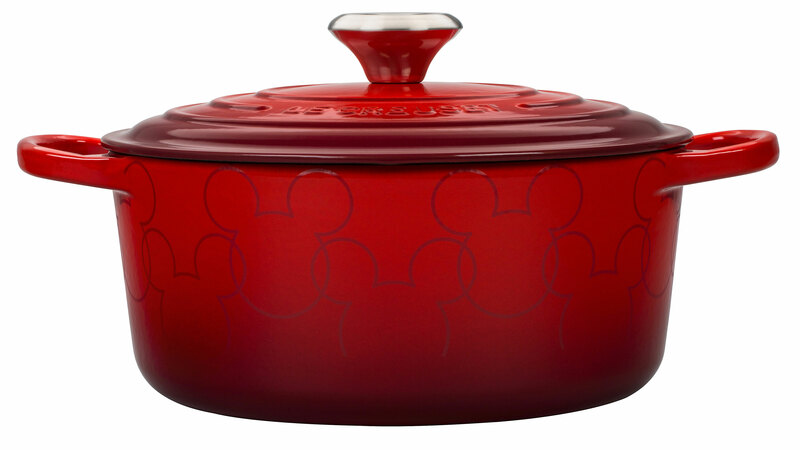 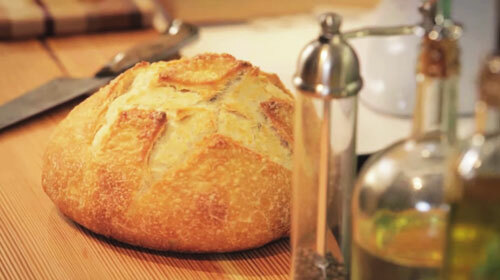 The Mickey Mouse Round Dutch Oven is carefully adorned with a Mickey applique and stainless steel knob. 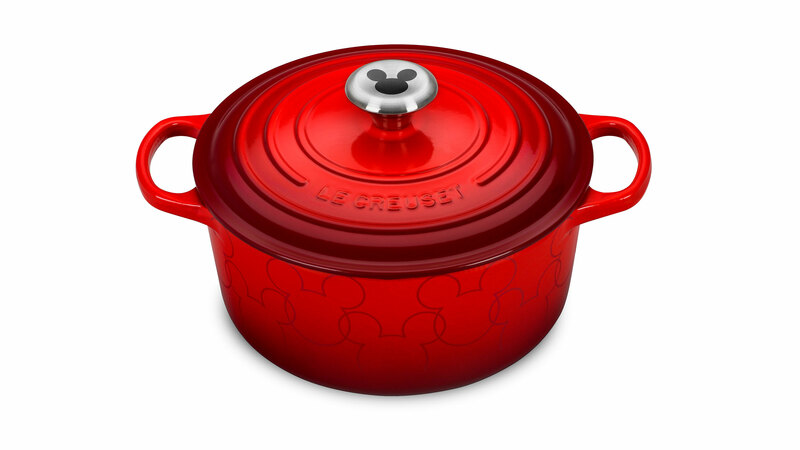 The Le Creuset Signature Cast Iron Mickey Mouse Round Dutch Oven is ideal to use when making soups, rice dishes, casseroles, roasts, quiches, one pot meals, baked recipes, desserts, cakes, breads, and more. 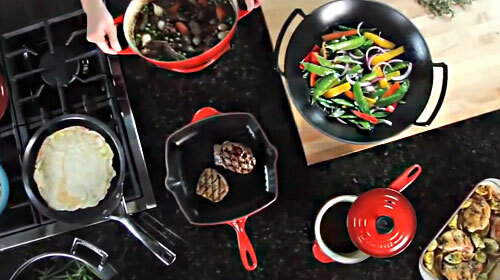 Inspired by a long line of kitchen classics Le Creuset is proud to present the Signature series collection. 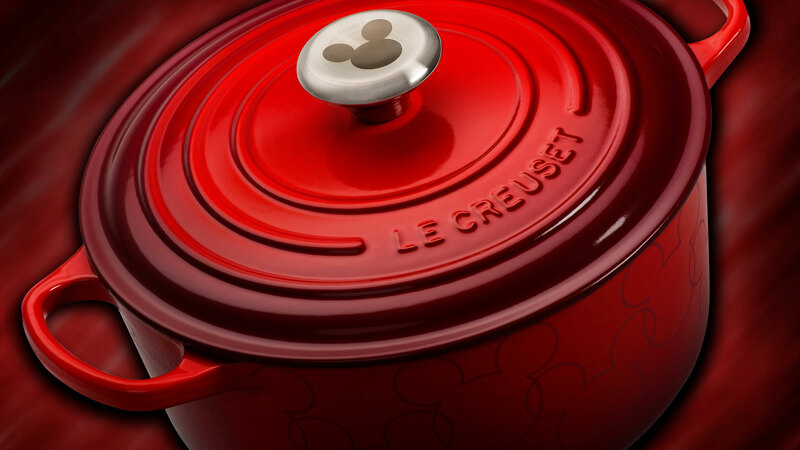 This collection offers a fresh array of enhanced designs that blend the very best of Le Creuset's classic form with the latest technology. 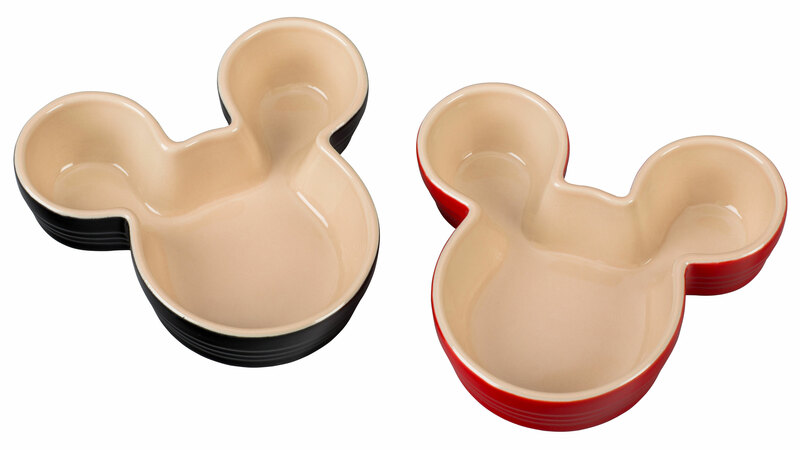 The advanced interior enamel engineered to resist staining, dulling, and is easy to clean. 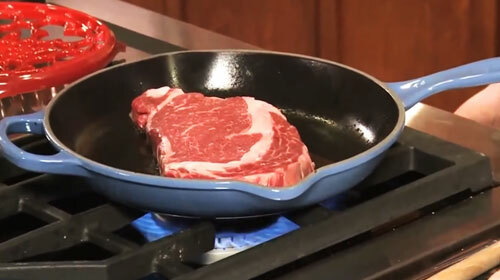 The light sand-color interior makes it easy to monitor food as it cooks to prevent burning or sticking. 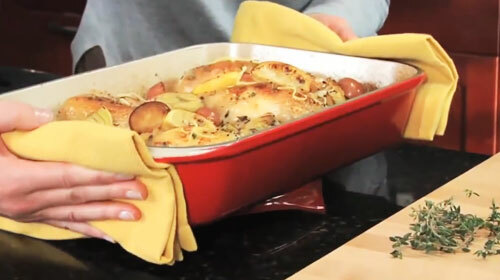 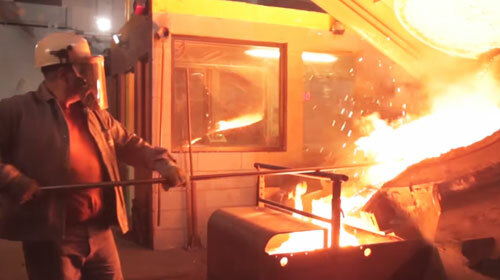 Improved larger handles, makes it easier to grip when wearing oven mitts and also distributes the weight more evenly. 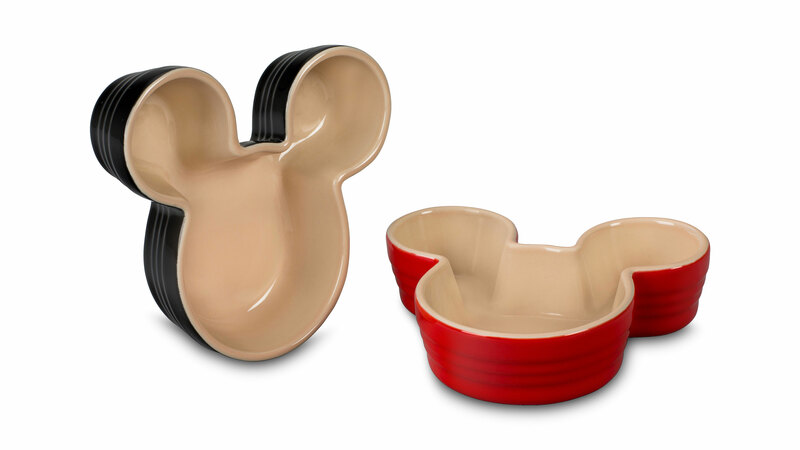 Other features include a new engineered lid, with built-in lid stabilizers to seal in flavors and fits more securely. 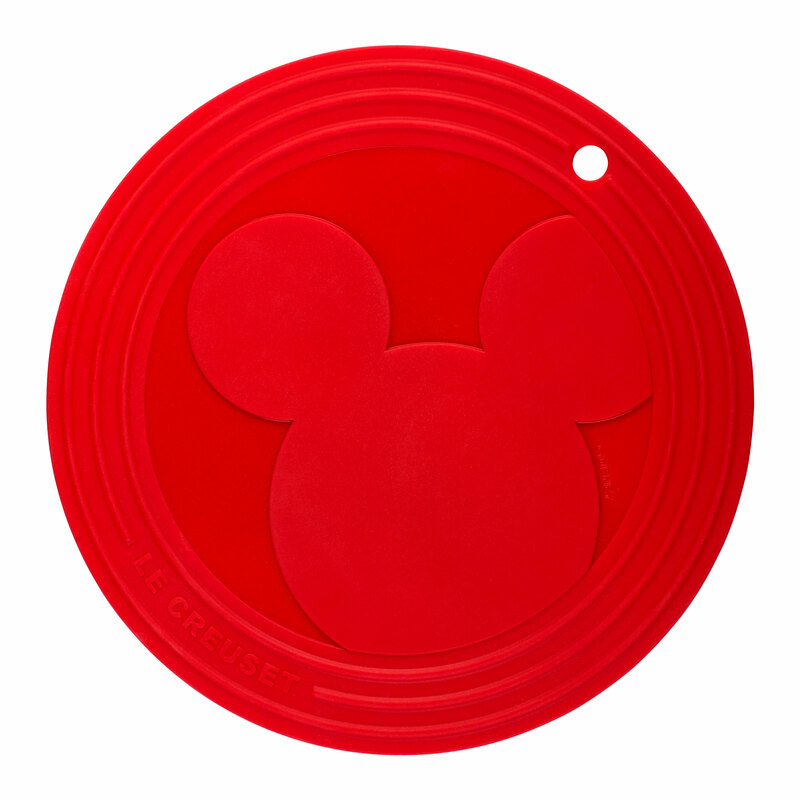 Can use on all cook tops including induction and oven safe.